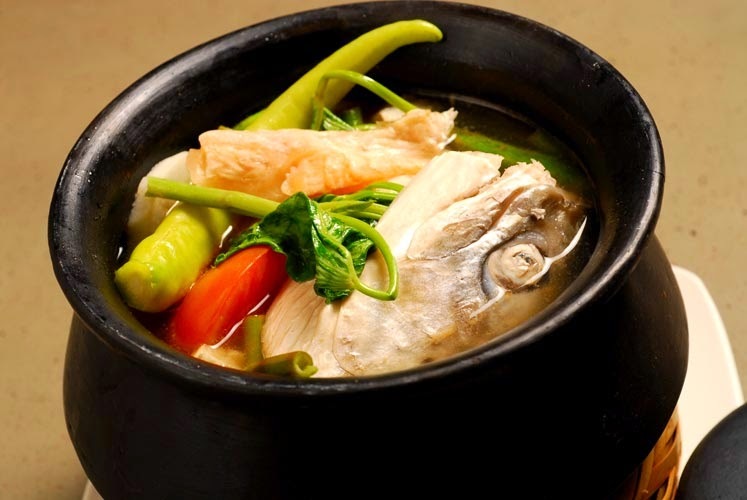 Fish head sinigang is a delicacy in the Philippines and one of the most common dishes in an oriental family's diet. Fish heads contain a lot of omega 3 fatty acids and fish oil that promote brain development according to a recent report on nutrition and health. 1. In a large sauce pan, boil water and onions & ginger then add fish and cooked for 5-10 minutes. 2. Add the rest of the ingredients except for the bokchoy and cooked for about 2-3 minutes. Do not over cook the veggies. 3. Add the baby bokchoy last. Shut off the heat and let the pan simmer. Serve hot.